When disaster strikes, it can be tough to know who to call. For more than 50 years, people all around Massachusetts have called a name they trust. ServiceMaster has helped countless people recover from fire damage, water damage, mold damage and more. 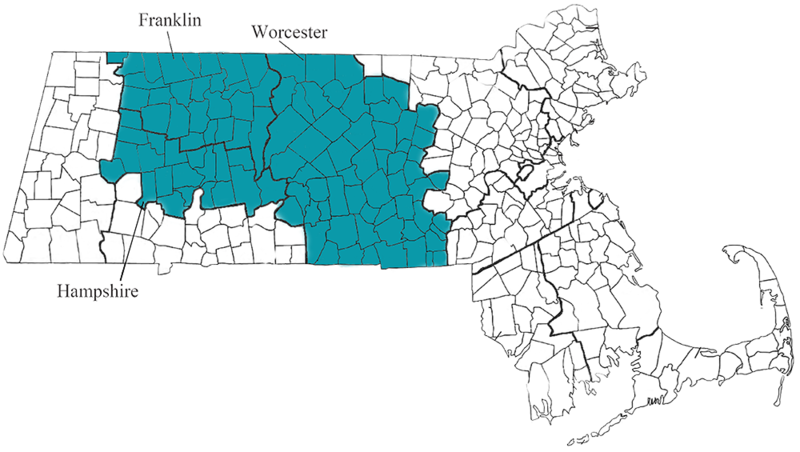 Make ServiceMaster By Williams the franchise you call for Worcester, Hampshire and Franklin counties. It’s well known that water is one of the most destructive forces on our planet. When you have water damage in your home or office, it can be devastating. ServiceMaster By Williams is a locally owned and operated franchise that has been helping people recover from water damage for more than 30 years. Our restoration contractors have the highest level of training in the industry, we always bring the latest technology to every restoration job. When you call us, you get the experience of a national brand along with the care of a neighbor. That’s what helps us maintain the great reputation that we enjoy. So whether you have water damage from a busted water pipe, a flood or other type of water, make ServiceMaster By Williams your first call. When your home burns, few things can be more traumatic or disruptive. That’s why you need a team of experienced experts to help you through this difficult time. That’s ServiceMaster By Williams. Our fire restoration contractors work extra hard to help families rebuild their homes. Our mission is simple. We help restore lives. While we can’t do anything about what’s already lost, we help you rebuild. With any sized fire, there can be a lot of damage to your home or business. It’s a common misperception that only fire causes damage to a building. The truth is that the smoke, odors, soot and water used to put out the fire can continue to harm your home long after the fire is out. There is also significant water damage that poses a serious health risk as well as mold begins to develop. This is why it’s vital that you have a quick response to the fire damage- so that an effective restoration process can be put in place that helps you recover quickly as well as help reduce your overall expenses. ServiceMaster by Williams is always ready to respond to your call, 24 hours a day, 365 days a year with some of the highest trained fire restoration contractors, state of the art equipment, and the necessary experience to get the job done quickly. Backed by the ServiceMaster Clean guarantee, you can know that our job isn’t finished until our customer is 100% satisfied. It’s not enough that water damages your home. After water damage, there’s a persistent threat of having mold damage as well. In fact, mold damage is one of the most persistent problems after having either fire or water damage. Mold can create health hazards that make your home or business completely uninhabitable. That’s where ServiceMaster By Williams can help. We’re the mold removal and mold remediation experts. Mold most often grows where you can’t see it, but it’s a common problem after even just a little water damage. It can grow on nearly any surface and is commonly found behind wallpaper, on ceiling tiles and in drywall. Mold can hide in deep, moist corners of your property. Not only is it important to remove mold, but it’s essential to take proper steps to prevent mold growth in the future. After a flood, pipe leak or even high levels of humidity, mold can start growing in as little as 48 hours wherever excessive moisture exists. Mold spores spread quickly and can not only cause discoloration but structural damage as well. Mold not only harms your property but it poses serious health hazards as well. For people with sensitivity to mold, it can cause respiratory problems including coughing, wheezing, skin irritations, along with nasal irritation and throat irritation. Mold is particularly dangerous to those with asthma and certain immune related illnesses. Our certified experts can provide mold detection, testing and remediation for your property. We have the equipment and experience to thoroughly remove mold from affected areas of your property. Trust ServiceMaster by Williams for mold remediation in Worcester, Franklin and Hampshire counties. You deserve a mold-free environment. Clearly, fire and water damage are bad, but when your home or office has sewage backup or spills, that can feel like the worst. That’s where the disaster restoration professionals at ServiceMaster By Williams can help. Our sewage remediation experts are standing by 24 hours a day to help you with emergencies exactly like this. Sewage spills can be caused by things like backed up septic tanks, toilet overflows or problems in the sewer system. Whenever this happens, it creates a hazardous environment in your home, so it’s important that you act fast to protect your loved ones as well as your property. With more than 30 years of experience in sewage remediation, a quick response time and all the latest equipment necessary for large or small scale sewage clean up, ServiceMaster By Williams should be your first call. ServiceMaster has earned our reputation of excellence by backing all our work with a simple guarantee- we guarantee our work is done right or we do it over. With ServiceMaster by Williams, you are guaranteed to get experienced water damage specialists who have served customers with disaster restoration emergencies decades. Our staff is the best of the industry to give you the personal attention you deserve in a time of need. All of our restoration contractors are required to complete intensive training to give you the best possible service and outcome. Along with our great staff, we equip them with the most advanced, state of the art water restoration extraction and drying equipment to handle any issue. With all the expertise we have with home restoration, ServiceMaster By Williams is a natural fit for helping business owners with water damage, fire damage and all the other services listed above. We specialize in working with the larger businesses with a considerable amount of space. Specifically, we have expertise in working with manufacturing plants, hotels, conference centers, schools, municipal buildings and more. If your business suffers from fire or water damage, call the restoration company with the right equipment and experience to help you. Call ServiceMaster By Williams today.